In a new exclusive comment piece, Dyab Abou Jahjah argues that it is only through new paradigms and ideas, rather than discredited notions and stale clichés, that we can fully understand the Arab Revolution. Revolution is not a process of overthrowing a regime and replacing its administrative tools with others. That is a small part of the revolutionary process but it does not define it. Revolution is, above all, about replacing a set of concepts and values with new ones. Whereas the cultural and social evolution of human society is a process of slow and cumulative transformation of cognitive and material norms, revolution is a qualitative leap across entire phases of development and transfers society from one era to another in a very short time. This type of transformation does not happen without destroying some societal constructs and radically changing others. It is a painful process that proceeds according to a complex dialectic between destruction and rebuilding, tension and stability until a new stable reality is born, based on both material and structural achievements and gains. 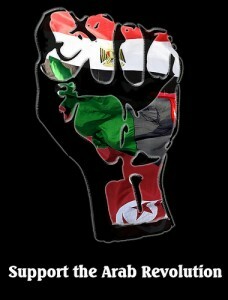 The great Arab revolution of 2011 is not an exception. It has produced, and is producing every day, new concepts and values. Before the revolution, the Arab individual, in general, thought of politics in an instinctive way; he was for someone against someone else, and he was always in confrontation with some party or another, looking at politics from the point of view of his position in a certain group of people. His view of the world was one-dimensional. sometime two-dimensional, but always short of understanding the complexities of the world. Arab political thinking before the revolution was unable to comprehend the complex and multi-layered realities of most socio-political phenomena. This one-dimensional thinking, or two-dimensional at best, floated in a space of absolutes, despising relativity and what it implies in terms of depth and restraint. It was the brain of a repressed and domesticated society, unaware of itself, let alone its problems and circumstances. The revolution came spontaneously, not according to a plan or conspiracy, and not as a result of a conflict with clear features or a developed ideology. The revolution came as a result of human suffering. It is innocent of ideology and the projects of leaders and chiefs. The Arab revolution was born from its Tunisian birthplace as a revolution for human dignity above all else. The revolution severed the links with the pre-revolutionary culture, replacing one-dimensional and two-dimensional thinking with perceiving the reality in simple terms, such as ‘suffering’, and understanding it as a complex, structured phenomenon. It also deviated from the traditional alignments: it was Islamic in its spiritual dimension, liberal in its political discourse, and leftist in its social position. It was patriotic in its rhetoric and platform, and pan-Arab in its causality, sphere of influence and context. It was radical in its insistence on toppling the regime and the departure of the tyrant, but pragmatic in its co-existence with a part of the toppled regime that it uprooted early on or late in the revolution in order to safeguard the transitional period. We cannot understand the Arab revolution except from the viewpoint of its new logic. We cannot understand it using the logic of the regimes against which it rose or the logic of the pre-revolutionary society that it shook to the core. The Arab revolution produced a new cognitive system and new standards for a new Arab culture that is in the process of formation. First, those who expected the revolution to achieve the tasks of an entire generation in a few months. As a result, they are now declaring that it has failed because it is still in the midst of a transition from the process of destruction – a process that is at the basis of the first revolutionary action – to the rebuilding phase, which is the goal of the revolutionary work. A transition that will certainly witness ups and downs, even shocks and upheavals. Second, those who declare its failure because they are shocked by the contradictions, crises, and social ills that have risen to the surface; as well as the explosive energy that usually turns creative but that sometimes goes to waste or becomes destructive some other times. The reality is that once a repressed society, whose dignity and consciousness have been violated, has set itself free from the fist of its tyrants, it will reveal all the issues that had been lodged within. The revolution causes all the social ills, all those conflicts that had never been resolved, and all the injustices and suppressed feelings to surface, which can definitely be scary. But we have to understand that we cannot extract the beautiful without extracting the ugly at the same time, and that we cannot achieve stability before first addressing the tensions. We cannot close historical records without first opening them. My friends want from the Arab revolution to produce democracy, justice and modernity in one shot, and they want it to liberate Palestine immediately. They forget that the French revolution required more than a century to produce a stable republic. The French revolution that institutionalised human and civil rights also generated bloody massacres and intellectual terrorism during the reign of terror, and then produced the tyranny of the Napoleonic Empire that reinstated the monarchy before finally succeeding in establishing the republic. That’s how revolutions go. After a period of chaos, conflicts and initial disorder, and after everything surfaces, people will decide what they really want and what they do not want. I am fairly confident that the people want freedom, progress, a good future for their children, and dignity for their nation. For example, even though Egypt is still at the beginning of a sensitive and unstable transitional period, Israel now already knows it has to think a thousand times before invading Gaza again. Of course, those who are supporters of “Palestine is the litmus test” slogan want the revolution to raise the banner of liberating Palestine and supporting the resistance so that it can get its “nationalistic credentials”. But these people are oblivious to the reality because, cognitively, they belong to the dying pre-revolutionary way of thinking, that the Arab revolution is more important than the Palestinian cause, and that the radical change that the revolution is ushering is much more important than the act of resistance. We learned that Palestine is the central cause of the Arab nation, but the truth is that the renaissance and the existence of the nation is the central cause. The Arab nation’s central cause is “to be or not to be.” The existential threat is not confined to Palestine but is felt by Arab citizens in Rabat, Cairo, Beirut, Sidi Bouzeid, Misrata, Taez and all corners of the Arab World. The Arab World became a dispersed nation ruled by thieves, murderers, and corrupt politicians, a nation that eats what it does not grow, that wears what it does not weave, that uses what it does manufacture, and that reads what it does not write; a nation that is outside modernity, history and geography; a nation going down. Such a nation is not only incapable of liberating Palestine, but it is also unable to prevent the occupation and conquest of its other regions. It is a collection of estates and not countries or states. The Arab revolution came as the antidote to that reality and it won under the banner of changing this reality and not under any other. The process of cleaning up, rebuilding and reviving that was started by the revolution is much more important than the process of resistance and draining the resources of the enemy that the resistance represents. Resistance is a negative action even though it is necessary, but what we need is the ability to challenge and defeat the enemy, not just being steadfast in the face of its aggression. This cannot be but the result of a big clean-up operation that sweeps away our social ills, starting with all of our tyrants. When the potent energy of the nation is released, when its self-awareness is recognised, when its states become instruments of democratic rule, when the Arab League becomes a true coordinating body with a majority of free states that are governed by their peoples’ will and needs instead of by an external agenda, this revolutionary process will lead to a real challenge to Israeli colonialism led by free Arab peoples in modern Arab states. The Arab revolution will force an end to Israeli apartheid and nobody will dare defend it as the “only democracy in the region”. Imperialism will no longer be capable of marketing the “tribal chief” theory to deal with the Arab World, which stipulates that it is not important to satisfy the Arab peoples because there is no “Arab street” but instead there are only tribes and all that is needed is to bribe or terrorise into submission the chiefs of those tribes. The Arab awakening has long been the worst nightmare for a Zionism that had always recognised the old Arab regimes as its allies, whether of the “reactionary conservative” variety or the so-called “progressive” one, because these old regimes were beacons of tribalism and corruption that could easily be bribed or terrorised into submission. We have witnessed the shining of the Arab soul in Tunisia, which has undergone a free and fair election that has ushered in a coalition of the moderate Islamic An-Nahda party, the pan-Arab Congress for the Republic, and other parties, in spite of millions spent by the US and France to promote anti-Islamic and pro-West parties that have called for normalisation with Israel. The Islamic-Pan Arab coalition has won an overwhelming Parliamentary majority. Those parties that were allied with the old pro-West regime, as well as parties that were incapable of understanding the historical moment and thus unable to transcend the old way of thinking, were the biggest losers. Relative to revolutions all around the world, the Tunisian and Egyptian revolutions are historical miracles and a shining example of non-violent, civilised uprisings. 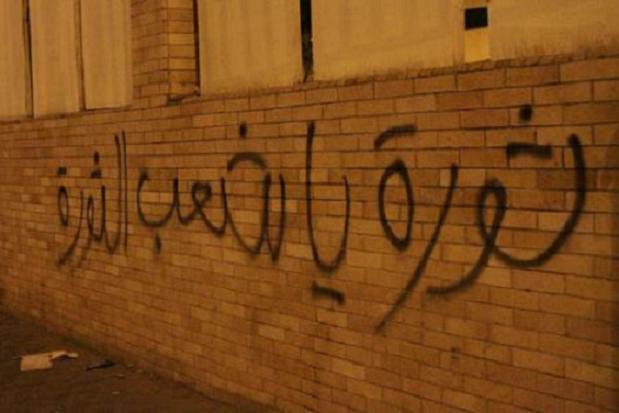 The Yemeni revolution, in its insistence on non-violence and its discipline, is truly amazing, as is the revolution in Bahrain. The Syrian revolution, in its enormous sacrifices in the face of a ruthless killing machine, is a historical epic. The revolutions in Libya is an epitome of effectiveness. We cannot just mention Libya in passing because the Libyan case has become the favorite example for conspiracy theorists and doubters in the revolution. It is true that the intervention by NATO is complicated and hardly innocent. But it is also true that the agenda of the Libyan revolutionaries is not identical to NATO’s. This divergence will emerge slowly but surely because the relationship between the Libyan revolution and NATO is not one of submission. European powers wanted to secure the oil contracts that they had signed with Gaddafi and, at the same time, appear to support the Arab revolution after their shameful support for Ben-Ali and Mubarak to the very end. The Libyan revolutionaries wanted air cover in their confrontation with Gaddafi’s barbaric killing machine. Unfortunately, no Arab or Islamic country was able to provide it. A deal was struck, and we must look at it from the point of view of shared interests. In the end, Libya has been liberated and there are no occupation forces and no NATO mandate on Libya. As for the oil contracts, they are a matter of commerce because oil is nothing more than a commodity sold by the state based on the people’s interests. It does not represent our dignity or our honor. Isn’t it better for a free Libyan people to trade with the outside world for their own benefit rather than Gaddafi doing it – while oppressing them – for the benefit of himself, his sons and their many lovers? A free people determines its path by itself. No one can claim any longer that a deranged tyrant knows his people’s interests better than the people themselves. The alternative, for those who are always asking about alternatives, as if we were replacing one totalitarian government with another, is always the ballot box. What’s more important, and what is true in any region in the Arab World, is that foreign intervention is a small detail in the midst of the massive historical movement that the revolution represents, which neither the reactionary oil oligarchies nor Western imperialism will be able to co-opt no matter how hard they try. The old regimes and their remnants will fail in their attempt to paint the Arab revolution as a western conspiracy to dethrone them because of their “achievements” in pursuing the interests of their people. The people know that the historical trend in our region is one of revolution, and they are aware of the West’s attempts to intervene and co-opt that revolution. But they are also capable of thwarting these attempts. In Syria, for example, in spite of the enormous oppression and killing, the revolutionary forces have rejected military intervention and instead called for international protection and observers, some insisting on most of these being Arab. Those who accuse the Syrian revolutionaries of being “traitors” are similar to someone who denies a seriously ill patient medicine because that medicine is made in Paris or London and is being distributed by United Nations agencies. Our role as Arab citizens and as participants in revolutionary actions is to be part of a whole, to protect the revolution, to maintain its patriotic compass that opposes neo-colonialism, and to preserve its democratic character in the face of dark forces that will try to impose their will on others in a non-democratic way. This is also the role of moderate Islamic forces. To hesitate in our support for the revolution because of our instincts in always being fearful of change; to always reject intervention from without instead of being in the core of the revolution and rejecting intervention from within, will put us out of the game in this most critical historical juncture. He who steps out of the game in this particular moment in history will be finished and will disappear. It is our duty as progressive Arabs to transcend our egos, our ideologies, and our organisational structures, and to reinvent our concepts and our actions so that they are aligned with the Arab Spring and the Arab Revolution with its new way of thinking and its historical movement. We should not hide behind old slogans and methodologies with which we are comfortable but that have become out of touch with reality and that should be relegated to the archives and museums. We are working to formulate in the near future a new organisational initiative that represents all the aforementioned, and that can become a nucleus for a coalition across the Arab World for people who share these ideas and values and, more crucially, who are willing to sacrifice for them. This article was translated from the Arabic by Nasser Barghouti. Dyab Abou Jahjah is founder and former president of the Arab European League, a regular contributor to the Arab press, and author of books on the Middle East and also the issue of immigration. what an absolute nonsensical article. !